Health services play an important role in a society as it is much needed for supporting economic development in the city. Even though Nanded has rich historical significance and a religious connection to it, the region remains a developed one in health sector. 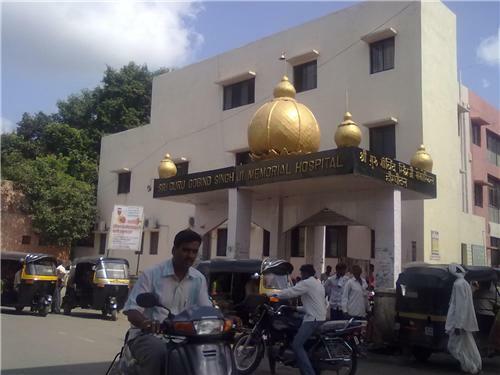 The city has some reputed hospitals which are run by government and also owned by privately, which are known to offer specialized services to the Nanded people and others. There are also many small hospitals found in the city which keep mushrooming in all localities that it has become almost impossible to spot an area that does not have a medical care facility. A number of people visit this holy city from across the world, which has created the demand for high end health care facilities to cater to the needs of the tourists. The government and private health care sector have made sure to enhance the health infrastructure by adding equipments with high end technologies, world class treatments and excellent bedding facilities in medical colleges, nursing homes and hospitals. There are nearly 56 private hospitals which also include maternity hospitals, seven hospitals and 12 dispensaries that are municipal operated and 145 dispensaries owned by private people. One can find many hospitals such as medical colleges, multispecialty hospitals and clinics across the city. The services of Shri. Guru Gobind Singh Memorial Hospital and Dr. Shankarrao Chavan Medical College are commendable as they offer best treatments to the poor for free. These hospitals also offer counselling and support to those patients fighting severe illnesses such as AIDS, Cancer etc. There are many other hospitals in Nanded such as Ashwini Hospital, Tulsi Hospital, Aadhar Hospital, Lotus Hospital which offer cardiac services, casualty services and neuro services. There are few other hospitals that specialize in Ayurvedic treatments for those patients who prefer nature based treatments for their ailments. Sanjeevani Hospital and Shree Krishna Hospital are known for offering beneficial ayurvedic procedures to cure chronic illnesses. Nanded enjoys a well advanced health infrastructure which is well evident through the growing number of nursing homes found in the city. These nursing homes found in the city are highly equipped with an excellent infrastructure to provide treatments of high standard at reasonable rates. Some of the nursing homes like Umrajkar surgical nursing home and Devi Rao nursing home offer 24 hours care, while some nursing homes like Sushrut nursing home and Sumeha nursing home are known for their excellent maternity services and surgical services. No one can deny the benefits offered by yoga and meditation and this is why there is a growing demand or such classes or centers in all cities. However, one cannot find many yoga and meditation centers and classes here, but the ones that are found here help the people to learn asanas and meditation that help to eradicate stress and other stress related issues. A popular one found in Nanded is detailed below. The people in Nanded are hardly aware of such occupational therapies available and hence there is just one occupational therapy centers or therapists found here. However with many developments taking place in the city, these occupational therapy centers are expected to develop in future. The only one center that is found in the city is detailed below. The city also has a speech therapy center which is also given below. Nanded has some of the best experienced psychologists and psychiatrists who render their services to the patients who need professional help to overcome their emotional and stress related issues. Some of the well known professionals who are based in Nanded are detailed below. Ayurvedic treatments like massages with medicated oils or mud packs available in India have gained quite a reputation among the people living across the globe. This is the reason why Nanded is a popular spot of medical tourism in India. There are many hospitals found in Nanded that specialize in providing Ayurvedic treatments to locals and tourists at affordable rates. With more numbers of ayurvedic clinics and medical care centers growing in large numbers here, most tourists suffering from various ailments visit the city for sight seeing and to get ayurvedic treatments during their vacations.